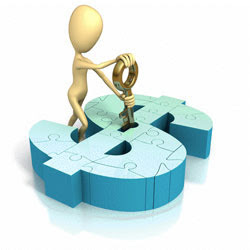 Working capital is the capital required for maintenance of day-to-day business operations. The present day competitive market environment calls for an efficient management of working capital. The reason for this is attributed to the fact that an ineffective working capital management may force the firm to stop its business operations, may even lead to bankruptcy. Hence the goal of working capital management is not just concerned with the management of current assets & current liabilities but also in maintaining a satisfactory level of working capital. Holding of current assets in substantial amount strengthens the liquidity position & reduces the riskiness but only at the expense of profitability. Therefore achieving risk-return trade off is significant in holding of current assets. While cash outflows are predictable it runs contrary in case of cash inflows. Sales program of any business concern does not bring back cash immediately. There is a time lag that exists between sale of goods & sales realization. The capital requirement during this time lag is maintained by working capital in the form of current assets. The whole process of this conversion is explained by the operating cycle concept. This study gives in detail the working capital management practices in BHEL. Management of each current assets, namely inventory management, cash management, accounts receivable management is studied permanent to BHEL. Similarly management of accounts payable is studied to understand the managing of current liabilities. A part from this concept of operating cycle is studied. The research methodology adopted for this study is mainly from secondary sources of data which include annual reports of BHEL, & website of the company. The use of primary sources is limited to interviews with few of the employees in finance department. The study of working capital management has shown that BHEL has a strong working capital position. The company is also enjoying reasonable profits. BHEL has corporate tie up with maximum leading Banks in India for providing short and medium term finance to the company. For financial requirement of projects outside India, BHEL has arranged forex funds. BHEL sales position is also very good. Its excellent performance is attributed to reduced cost of product The overall position of BHEL is good & the same is expected by continuum of existing management policies, checking exchange rate risk, competing with domestic and global players in terms of quality & quantity.